Actress Rekha Ratheesh started her career as a TV artist when she was only 16 year though the serial Nirakootukal directed by Sreevalsan. Later she acted in the serial Manasu directed by A.M. Naseer as Subhadra. It was followed by many serials mostly in supporting roles. She took break from the industry for while. She also participated in Kairali TV Nakshathradeepangal. Recently, she got a break through Malayalam Television serial 'Parasparam'. In this Asianet serial she portray the character Padmavathi, mother of Sooraj and Suresh. Her performance in the serial made her very popular among malayali audiences. Rekha is the daughter of dubbing artist Ratheesh, originally from Thiruvananthapuram and Artist Radha Devi from Thodupuzha. Both of her parent passed away. 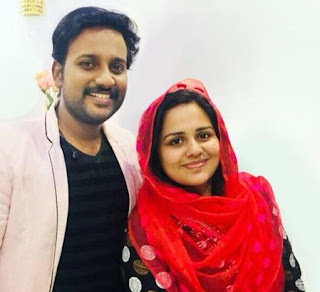 In an interview given to a popular malayalam daily she revealed that she married four times. She was married to Yousaf in an young age (18 yrs). Following divorce she married Actor Nirmal Prakash (after this marriage Rekha was known Rekha Nirmal, Nirmal, died in 2010) and later married Kamal Roy. After the break up she married Abhilash. She has a son with Abhilash. She is now living with her son,named Ayaan in Thiruvananthapuram.